Given that many people around the world have been transforming their eating patterns due to health issues, self-consciousness, animal empathy, or good taste, Costa Rica is becoming part of that change too. A new and modern space to eat clean, organic, healthy, fresh, and delicious! Their special product is cold press juices with original flavors using 100% natural fruits and vegetables. All the food is homemade, from the garden to your table. Some options of the menu include avocado toasts with tofu, cauliflower rice risotto with mushrooms and other vegetables, veggie sandwiches with gluten-free homemade bread, soups, super-bowls with açaí and fruits, gluten-free pancakes, and more to discover. They even offer a detox menu and meal plans combining vegetable juices and special dishes. This shop, cafeteria and restaurant is located in a modern commercial center in Escazu. Conformed of beautiful architecture and an outdoor terrace, Bulali offers local, handmade, organic, eco-friendly and grass fed food. 100% national coffee and chocolate are served in your table, fresh fruits on deserts will surprise your palate. 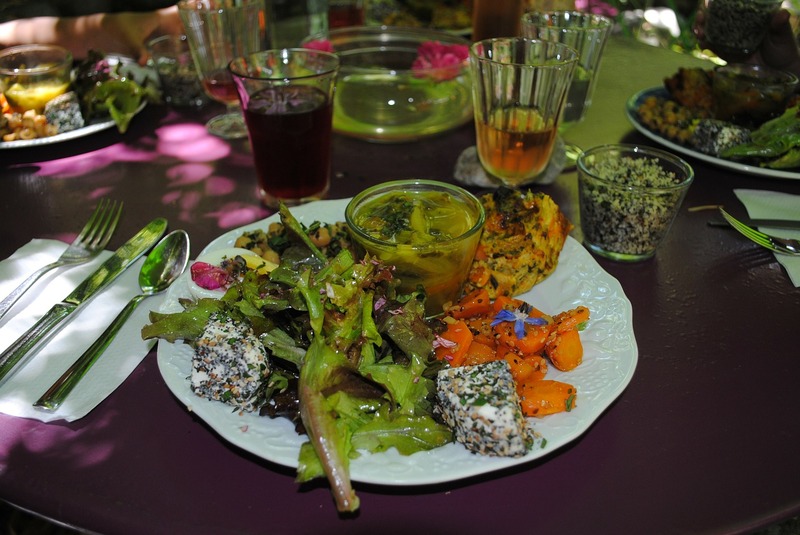 They create a “season menu” combining fresh fruits, fresh vegetables and organic ingredients. One of our recommendations is to try the “UNO + UNO” lunch option, where you can combine half sandwich with half portion of salad or soup or you can pick half portion of salad and half soup. They are known as a plant-based fast casual whole food company. They use 100% fresh organic ingredients with no artificial flavors or colors nor preservatives. LuvBurger’s goal is to make a transition from fast-unhealthy-food to fast-healthy-food. On their menu, you will also find soups, salads, and breakfast options. Try the “COCO BACON” burger, where they use honey smoked coconut strips as bacon! Patacones: Crunchy plantains topped with guacamole, mashed beans, and pico de Gallo (tomato, onion and red pepper salad). You can ask for these ingredients on the side as well. Casado: It comes with meat, but you can ask for a vegetarian option. It consists of a dish full of rice, beans, salad, plantains, tortilla, Pico de Gallo and sweet plantain. Eating vegetarian and vegan food in Costa Rica it is always easier Fresh fruits and vegetables are always a top option in this country. The caring and conscious love for animals and nature make Costa Rica an easy country for those who are looking for empathy for each other, for us, and even for other species.